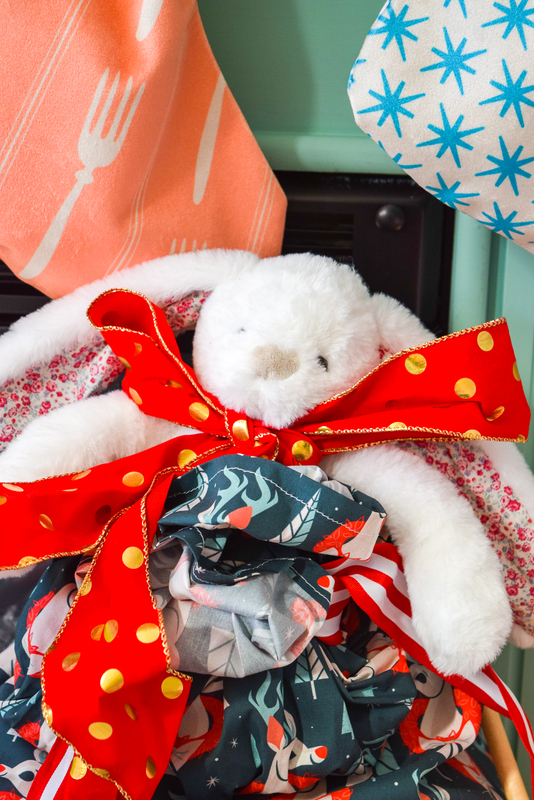 The holidays are the perfect time for starting traditions – hello, family recipe tea towels! 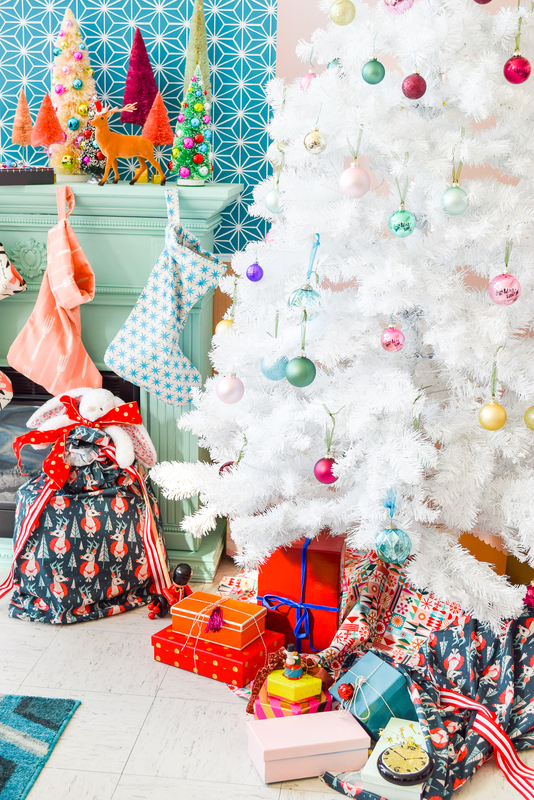 This year we were introduced to a tradition by DIY blogger Ariel of PMQ for Two that we can’t wait to try: DIY Santa Sacks. 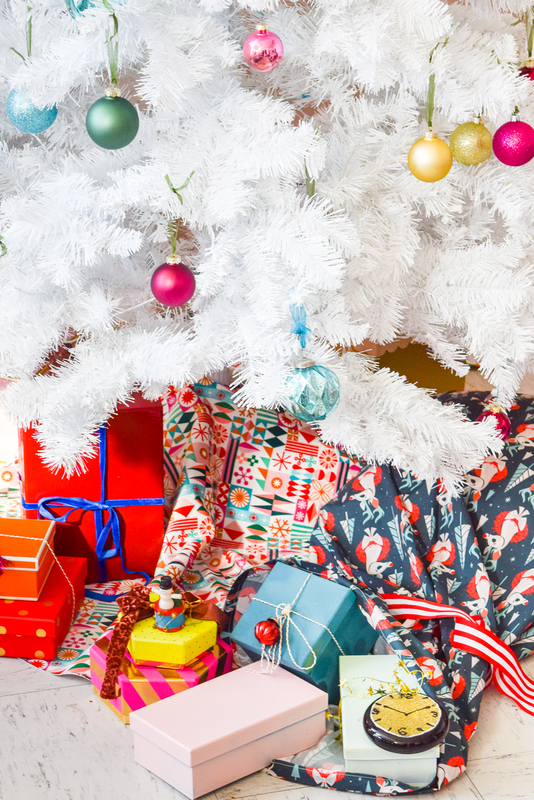 While it might seem crazy to skip the gift wrap, this sustainable option can be reused every Christmas or act as a gift within a gift. 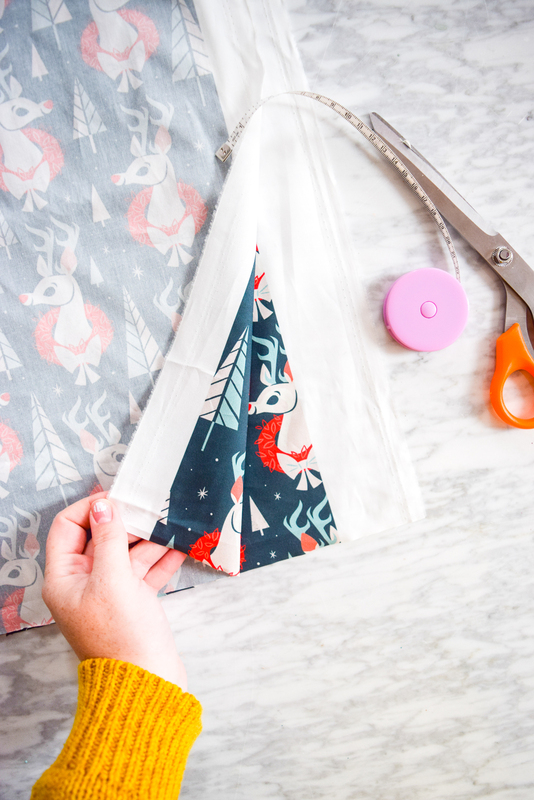 Easily whip up an entire collection of sacks in all different sizes to put under the tree this year with Ariel’s beginner-friendly tutorial. 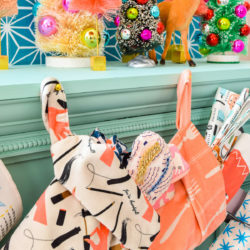 Pro tip: Choose a winning entry from the Holidays Around the World Design Challenge for an extra festive touch. Ariel: The holidays can mean time spent on the road or in transit. You’re going across town to your mom’s, up-state to visit the in-laws, or just hopping in a taxi to make your reading group’s annual party. What do you do with all the gifts you’re bringing? You could try to carry them all in a giant stack like something out of a cartoon. You could dump them into the biggest plastic bag you can find (or even worse, a trash bag! ), OR you can lovingly load them into a handmade Santa Sack! These giant bags are exactly what they sound like: a bag big enough for Santa Claus. How else does he get all his gifts around? They’re definitely not just loose in the back of his sleigh. 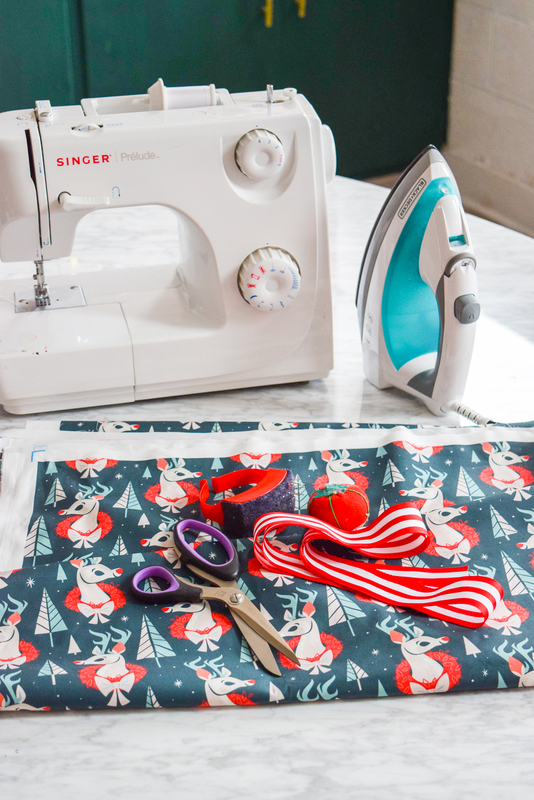 With a few yards of festive prints from Spoonflower and some brightly colored ribbons, you can create your very own Santa Sacks for this holiday season. Re-use them year after year, or leave them as part of the gift (hopefully to be re-gifted next year). Each bag can be as big or as small as you want, but ideally the bigger the better! These finished bags are 43” long from top to bottom and 20” wide. 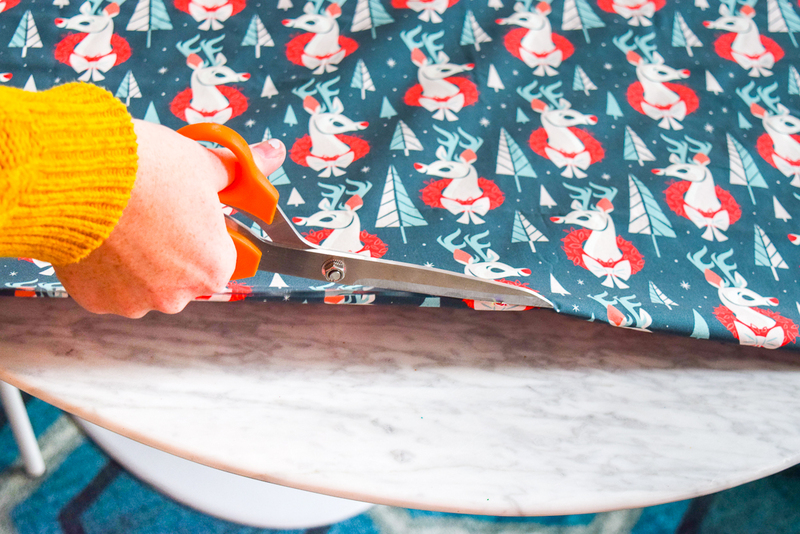 I’m using the design Woodland Reindeer by therewillbecute printed on Cotton Poplin but for an extra luxurious bag, give Spoonflower’s Celosia Velvet™ a try! All seam allowances are ½” unless otherwise noted. To make two 20” x 43” bags, fold the fabric in half lengthwise and cut the fabric so you have two folded pieces that measure 21″ wide and 44” long. 2. Hem the top of the fabric. 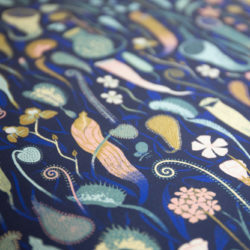 Open one piece of your cut fabric and fold the top edge of the fabric down (unprinted sides facing) ¼” and press. Repeat and stitch the top hem in place. 3. Sew the sack together. Take the hemmed fabric and fold it in half widthwise, right sides facing. Stitch the unfinished side and bottom. Leave the hemmed top unsewn because it will be the opening of your sack. 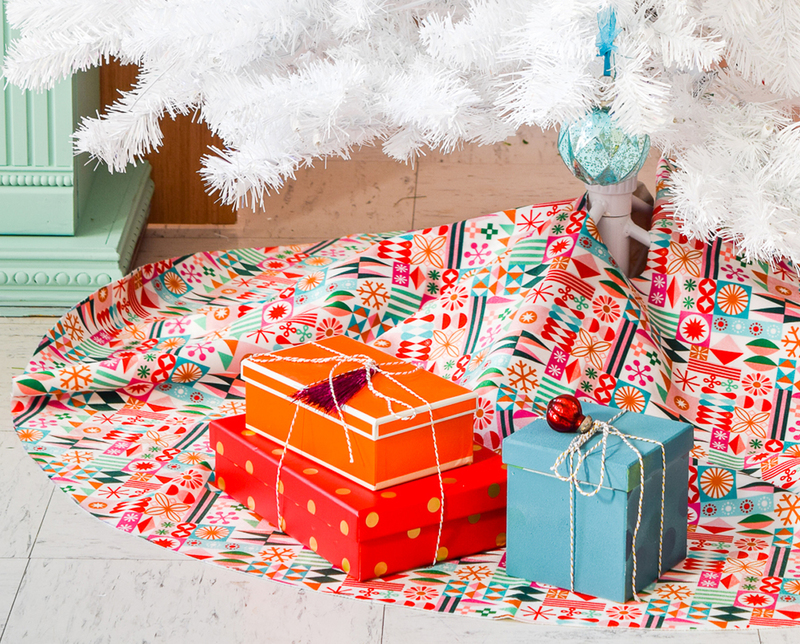 Flip the sack right side out, fill with presents and tie shut with the finishing touch: a bright red velvet ribbon. I like the idea of finishing it off with a bow, plus it gives more versatility for use and gift sizes. Pro tip: If you’d like your bag to be closed with a drawstring, be sure to stop stitching when you get to the start of the top hem (casing) so you can insert the string. You can see how to create casing here. 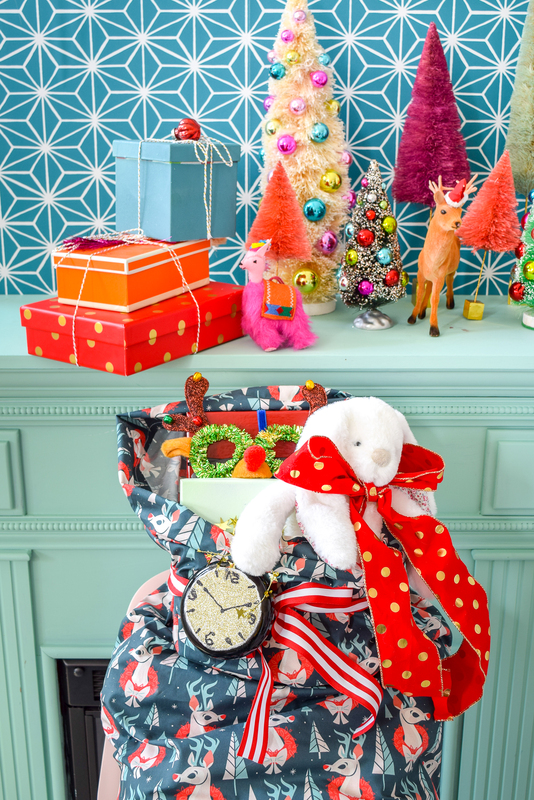 Need inspiration for your Santa sack? 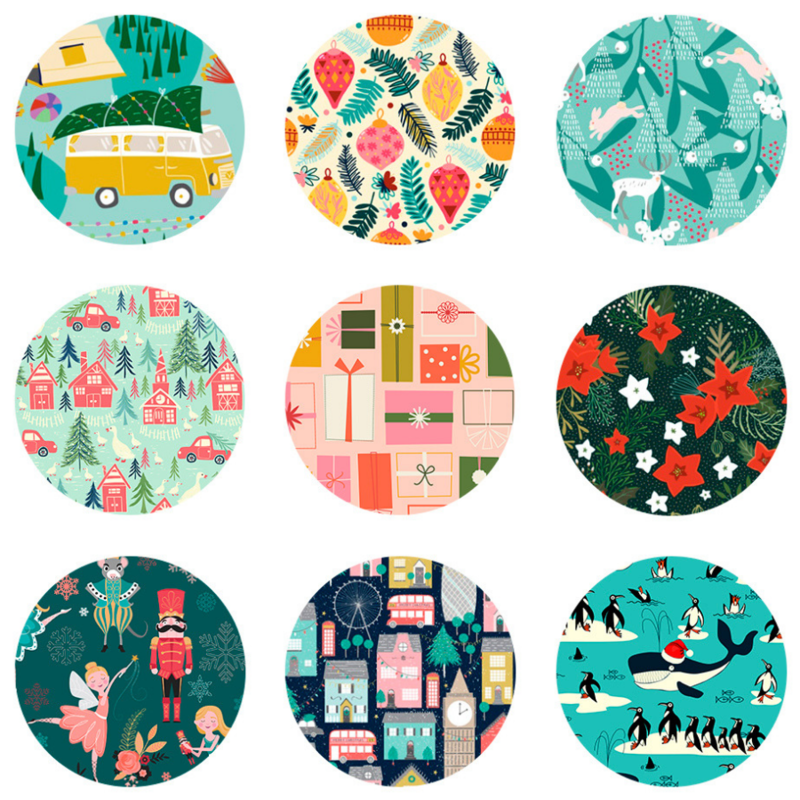 These designs are North Pole-approved. 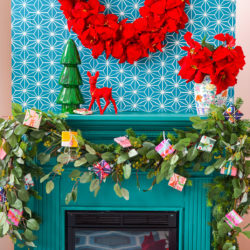 For more festive DIY projects, don’t miss Ariel’s Velvet Christmas tree skirt how-to and gift garland. 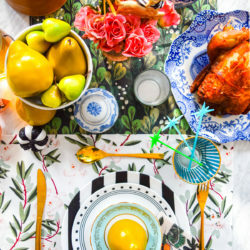 Ariel creates bright, bold, colorful and creative home décor and DIYs (and cocktails). 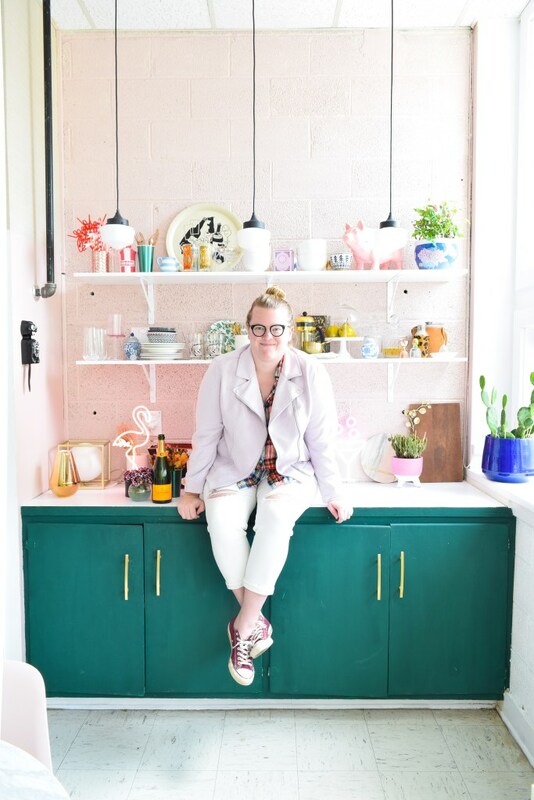 She’s worn several hats to date but has settled on the crown that comes with being a color-wielding Queen and décor blogger, not to mention, businesswoman. Follow Ariel on her crazy journey called life while she figures what color to paint the walls and where to hang that darn mirror over on her Instagram feed @pmqfortwo!